target for hackers, thieves, and shady internet types alike. 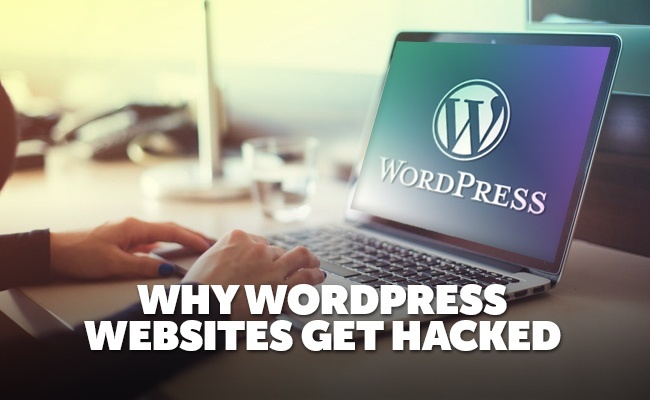 That doesn't mean you can't fight back, however, as there are plenty of common reasons why Wordpress websites get hacked. Out of date plugins also pose a huge risk to your Wordpress security. This is arguably how most hackers are able to break into Wordpress sites. In general, keeping anything out of date is a bad idea. Updates fix holes in systems and help to keep the hackers out, if you miss the update, not only is the hole open, but its more likely that hackers know about that hole. The same is true for Wordpress itself, updates are very important! Wordpress often finds security holes and flaws with its core files and they push updates frequently. Updating plugins is pretty straight forward: simply navigate to your "Updates" section of your administrator panel, and if plugin updates exist, there will be a clickable button that will allow you to update them all right then and there! But wait! Before you update any of your plugins or Wordpess files, make sure you do a complete backup of your files and database. Sometimes updates can cause issues with functionality on your site. If you aren't running a security plugin on your Wordpress site, you are leaving your site wide open for hackers. There are numerous free and paid security plugins, many of which enhance the security of your website immediately upon install. A good example of a good Wordpress security is Wordfence - www.wordfence.com, which has free and paid options. However the free option includes many many features, not limited to a firewall, security scans and alerting, and recovery tools, all accessible from its own dashboard. Using plugins like Wordfence can be a very simple and fast way of making a site more secure and preventing a site from being hacked. The reality is that no matter how good your security is our how often you update your plugins and Wordpress files, there is always a chance of getting hacked. In the unlikely event this happens, you should be making regular backups of your website files and database. There are a few backup plugins available, we recommend Backup Buddy - ithemes.com/purchase/backupbuddy You can schedule regular backups of your website and quickly restore you site in case of any hacking or other issues. Wordpress security isn't just for hard-core web developers and programmers, anyone can take simple and effective steps to protect themselves against attacks from malicious people out in the deep blue ocean of the internet, all it takes is a little time and a little effort, and knowing what to avoid! You shouldn't hesitate at all to start making your practices more secure, even if it starts with installing a security plugin and changing your password. It can go a long way! Don't want to worry about keeping your plugins and Wordpress files updated? Dont' want to worry about setting up website backups and making sure everything is running and secure? Signup for our Wordpress Hosting Plus package. It's an affordable way to make sure your website is taken care of. Click the graphic below to sign up.